Spick & Span window cleaners are delighted to offer window cleaning services in, Chelsea SW3. We offer residential and commercial window cleaning services in SW3 and the surrounding areas. As local window cleaners to SW3 Spick & Span window cleaners clean windows in the area to a very high standard and have recieved lots of postive reviews. We are willing to undetake one-off job window cleaning and regular window cleaning in SW3 and provide a same-day and immediate response window cleaning service in SW3, whenever possible. 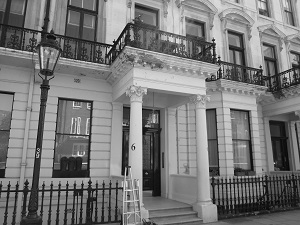 Arrange a booking for window cleaning in SW3. Why choose Spick & Span’s SW3 window cleaner services? Spick & Span have over ten years of experience as window cleaners. Spick & Span window cleaners take care in and around your property in SW3.